There has been a lot – some say too much — written about Steve Jobs (below), the visionary co-founder and CEO of Apple who died last week at 56. But nowhere have I seen or heard that Steve Jobs liked the music of Johann Sebastian Bach. Of course it makes sense in retrospect. 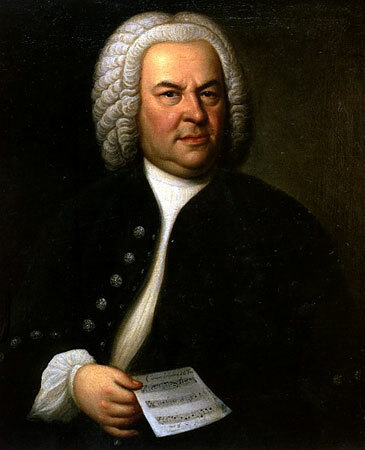 Steve Jobs and Johann Sebastian Bach (below) may not have been all that different as men who changed the world. Both were visionaries who were loyal family men but who also were consumed by their work, day and night, and who mastered both the large concepts or theories as well as the minute details. But were “engineers” who were successful and prolific in their respective fields, and who combined passion and precision. Both were deep believers in what they did, who explored lots of different aspects of their field and who adjusted well to changing circumstances to the point of learning a lot from failure. 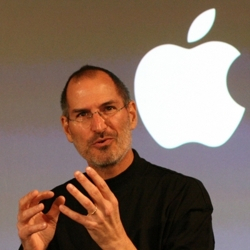 “Like so many people around the world, I have been thinking of Steve Jobs since his passing. The outpouring has been almost surreal. 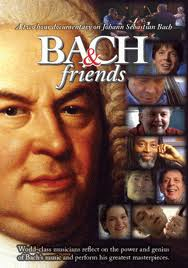 “I could not have made “BACH & friends” (below) without his computers and software. “In 1989, I filmed an interview with Steve for my Library of Congress film and what a special day that was. I remember very fondly every minute of the time I spent with him. I still have the NeXT coffee mug he gave me. “A few years back, I put up a clip from the interview on YouTube and it has been viewed over 400,000 times – 34,000 views just yesterday alone. That’s a quotation from “Return to the Little Kingdom: How Apple and Steve Jobs Changed the World” by Michael Moritz. 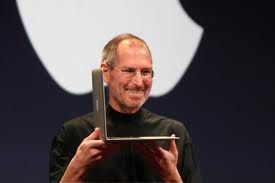 “I put together all of Steve’s clips – Steve Jobs Tribute – from Memory and Imagination: New Pathways to the Library of Congress as a tribute and would like to share it with you. Let The Ear and Lawrence know what you think of it — and of Steve Jobs’ love of Bach. Which piece by Bach would Jobs like and what piece by Bach we should we listen to with Steve Jobs in mind? Leave a message for Michael Lawrence or a comment about Steve Jobs and Bach in the COMMENT section. How can Steve Jobs say he likes Classical music when the Ipod is is so famously out of sync with the genre? Everything from Enescu to bloody Greensleeves is labeled ‘Classical’. 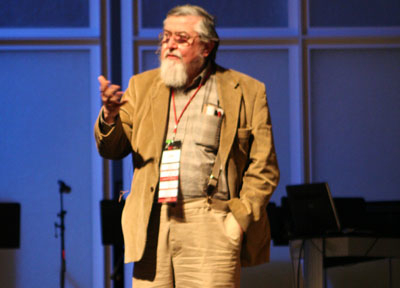 It organizes the music by the conductor or the lead cellist before the original composer. You can’t access the pieces by their key and have to wait for it to scroll before you know what they are. In fact you often don’t know what they are because the movements are seperated and there’s no title, it just says ‘Allegro’ or ‘Presto’. The pieces in a Sonata aren’t grouped together at all, unless the Sonata’s are divided into seperate albums. The ipod is dreadful for classical music! Steve, bless his soul, didn’t consider classical at all when he made this product! Bach is an artist, going well beyond real world, you cannot compare him to anyone. You will have o argument from me on that score. Or on any of Bach’s scores! Jacob, just as a funny side note: That quote from Steve Jobs about the wheat field playing Bach was the observations he had after taking LSD!!! I don’t know if you knew that, but just wanted to add a little to that Steve Jobs quote. No, I didn’t know the context was Steve Jobs’ LSD trip. But if it turned him on to Bach, so much the better. Who knows what other ideas he got from acid? Thanks for reading and replying with insight. and more facts.